I would like more information about 9518 Slater Avenue Northeast. 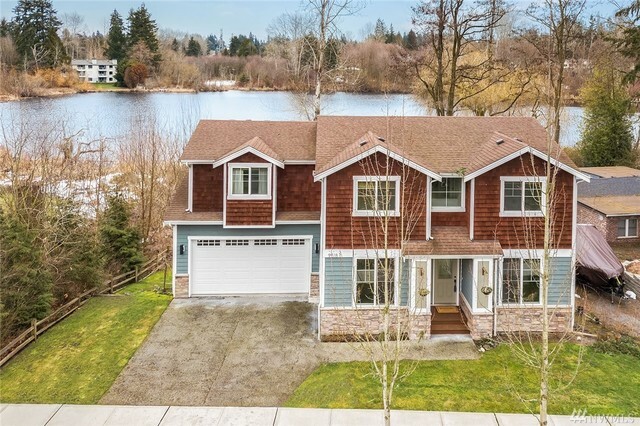 This one of a kind & tastefully updated home has unparalleled views of Forbes Lake, yet an amazing & private location in the heart of Rose Hill. With two stories & fully finished basement, this 5 bed/3.25 bath home has everything you need! Main level showcases an open greatroom concept w/ a chef's kitchen. Massive master suite upstairs, w/ 5-piece master bath & large closet. Basement showcases a wet bar, media room, sauna, & bedroom. The fully accessible 80+ feet of waterfront is yours to enjoy! Directions: From 405, go east on NE 85th St. Take a left (go North) on 124th Ave NE. Take a left (go West) on NE 97th St. Take a left (South) on Slater Ave NE. Property is on the left (East) side of Slater.